Australia's Coral Expeditions recently announced that they had signed an agreement with renowned Norwegian shipbuilder Vard to launch a brand new, state-of-the-art expedition ship. Now, more details have emerged about new specialist vessel, including the name - Coral Adventurer - along with schedules and pricing for the inaugural 2019 adventure cruising season. According to Coral Expeditions, the Australian-flagged Coral Adventurer will be the ‘world’s most advanced tropical expedition ship’ when it launches in April 2019, and certainly the plans and artist impressions seem to back that claim up. 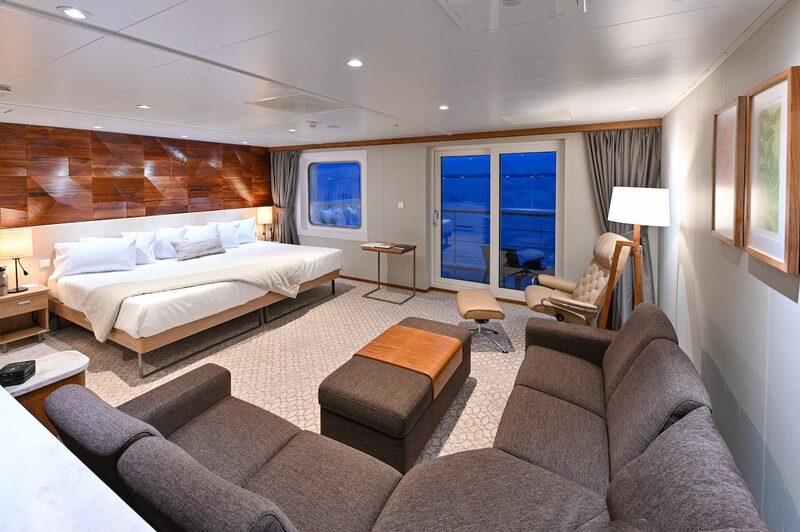 At 93.50 metres in length, Coral Adventurer will accommodate just 120 travellers in 58 Staterooms and two stunning suites measuring 55 square metres. 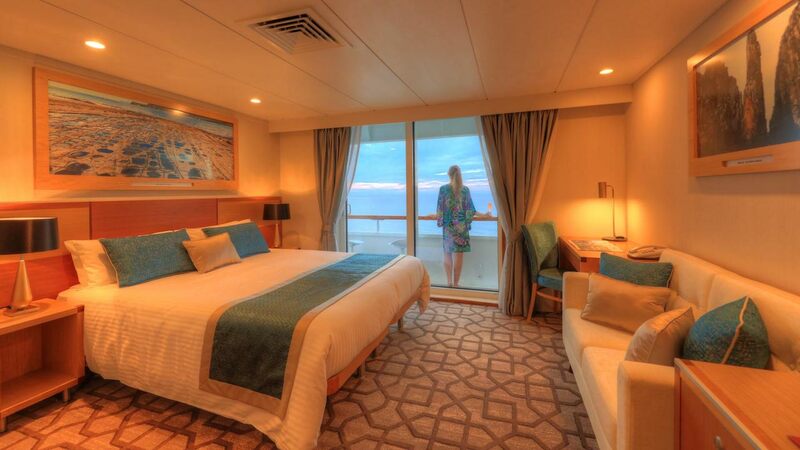 Over half of the ship’s accommodation will feature private balconies. There’s also multiple bars and lounges, a spacious dining room accommodating all guests in one sitting and a light-filled lecture room for expert presentations. The ship will also carry specialist equipment for scientific research. Of course, a big part of expedition cruising is being able to get ashore and experience places beyond the reach of other travellers. Coral Adventurer has got that covered as well. On her stern she will carry two Xplorer excursion tenders, each accommodating 60 passengers in individual seating, along with six Mark V Zodiacs, a glass bottom boat (selected itineraries) and a fleet of kayaks. It’s the flexibility of the Xplorer tenders that really set the Coral Expeditions fleet apart however. Cradled on a hydraulic platform on the ship’s stern, guests easily step aboard before the platform lowers into the water, eliminating the need to get your feet wet when trying to jump into a bobbing zodiac. The 2019 schedule features some interesting journeys. The inaugural voyage will ‘blow the cobwebs out’ from Singapore to Darwin, followed by a short hop into West Papua. From there, the ship will join her sister-ships Coral Discoverer and Coral Expeditions I on Western Australia’s Kimberley coast, operating 10 night itineraries between Darwin and Broome and vice versa. Kimberley cruises are scheduled between May and October, and will give a welcome capacity boost for Coral Expeditions, who’s two current ships run full in the Kimberley, often selling out months in advance. At the conclusion of the Kimberley cruise season there’s an ‘Across the Top of Australia’ voyage to Cairns, followed by a circumnavigation of Papua New Guinea. Beyond 2019, we can expect to see the ship also spending part of the year in the South Pacific and New Zealand, along with selected itineraries further afield in Asia. Voted as the 'World's Best Boutique Cruise Line 2016' by the readers of USA Today, it's fair to say that Variety Cruises know how to operate a great small ship cruise! With a fleet of 11 small ships operating throughout Europe, Africa and South America, a cruise with Variety allows you to really get to know the destination. Ships typically range in size between 30 and 60 travellers, ensuring an intimate small group experience. And, having recently launched their 2018 schedules, Variety Cruises is offering some great Earlybird offers on some of their most popular voyages; taking in Greece and the Adriatic Coast, a new voyage on the Icelandic Coast and a week long snorkelling expedition in Africa's holiday retreat of the Seychelles. Simply book your 2018 Variety Cruises adventure on the following itineraries before 28 February 2018 and we'll knock 10% off the price! Highlights include: The famous ancient theatre of Epidaurus. The Tomb of Agamemnon, and the Mycenae burial complex. Ancient Olympia and famous Delphi. Historic and picturesque cities, such as Nafplio and Monemvasia, Gytheio and Pylos. Departs March / April and October / November 2018. Special price from AUD $1,990 per person in a Category C cabin. Highlights include: Poliegos, known for its beaches. Santorini. The small beautiful village of Oia, known for its breathtaking view of the Caldera. Paros. Mykonos, touring the archaeological site of Delos, antiquity’s most sacred island. Syros. Cape Sounion, the temple of Poseidon. Regular departures between April and October 2018. Special price from AUD $2,770 per person in a Category C cabin. Highlights include: Dubrovnik. Cetinje, a museum town. Budva, with its Venetian architecture. Corfu, the Grand Lady of the Ionian Islands. The Bay of Kotor, the deepest natural fjord in the Mediterranean. Regular departures between June to October 2018. Special price from AUD $3,415 per person in a Category C cabin. Highlights include: Siglufjordur, a shing town close to the Arctic cirle. Heimaey Island, the Pompei of the North. The Myvatn Lake. Isasfjordur. Arnardalur Valley. The quaint shing village of Husavik. Special price from AUD $3,782 per person in a Category C cabin. St. Anne. Giant tortoises on the isle of Curieuse. Praslin, famous for its beautiful beach. The Coco de Mer palm trees in the Vallee de Mai Reserve. La Digue and Mahe. Special price from AUD $3,085 per person in a Category C cabin. All prices subject to changue due to currency fluctuation and will be ocnfirmed at the time of booking. There’s soon to be more choice for fans of small ship cruising, with Australia’s pioneering expedition cruise company Coral Expeditions announcing that they have signed a contract to add a new, state-of-the-art expedition ship. 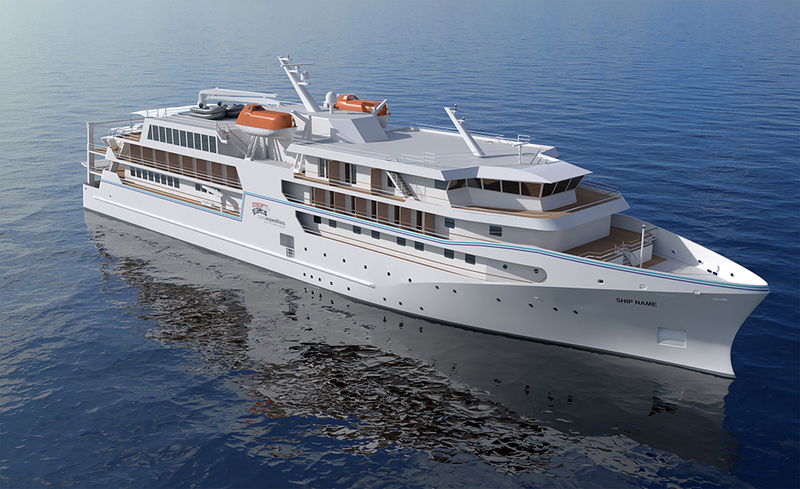 Due to launch in mid 2019, the yet unnamed 93.50 metre ship will be built in Vietnam by Norwegian shipbuilder Vard and will join Coral Discoverer, Coral Expeditions I and Coral Expeditions II in the Coral Expeditions fleet. Plans for the luxury ship show 60 large staterooms, ranging in size between 17 and 43 square metres, over half with their own private balcony. There’s also a single-seating dining room, a light-filled lecture lounge and multiple indoor and outdoor bars. 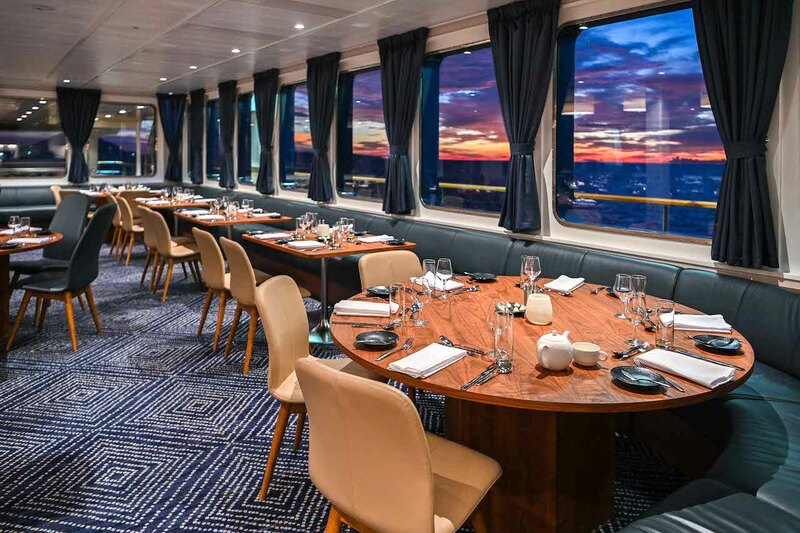 Fans who have travelled on the Coral Expeditions fleet previously will immediately notice the company’s distinctive style flowing through the new ship, highlighted by the modern Australian-designed interior with the colours and textures of tropical Queensland, the birthplace of the company. They can also expect to encounter the same professional and laid-back Australian service for which the company’s crew are renowned. The new ship will also be fully-equipped for adventure. Twin hydraulic platforms will house two unique 60-passenger ‘Xplorer’ excursion tenders, along with a fleet of inflatable zodiacs and kayaks. There’s also facilities on board to host scientific research missions. Expedition aficionados can expect itineraries focused on adventure cruises in Australia, the South Pacific and Asia, with a major deployment on Western Australia’s Kimberley Coast between March and September each year. Whilst details of the Kimberley cruise schedule haven’t been announced as yet, we can expect that the company’s iconic ten-night itinerary between Broome and Darwin (and vice versa) will be on offer, featuring all of the highlights of the Kimberley coast including Mitchell Falls, King George Falls, King Cascades, Montgomery Reef, Horizontal Falls, Aboriginal art and much more. Other destinations being looked at for the new ship include Indonesia’s Raja Ampat and Spice Islands, Papua New Guinea and the Islands of Melanesia. Schedules for the new ship are expected in coming weeks, sign up to our newsletter to receive details of the new schedule as soon as it is announced. 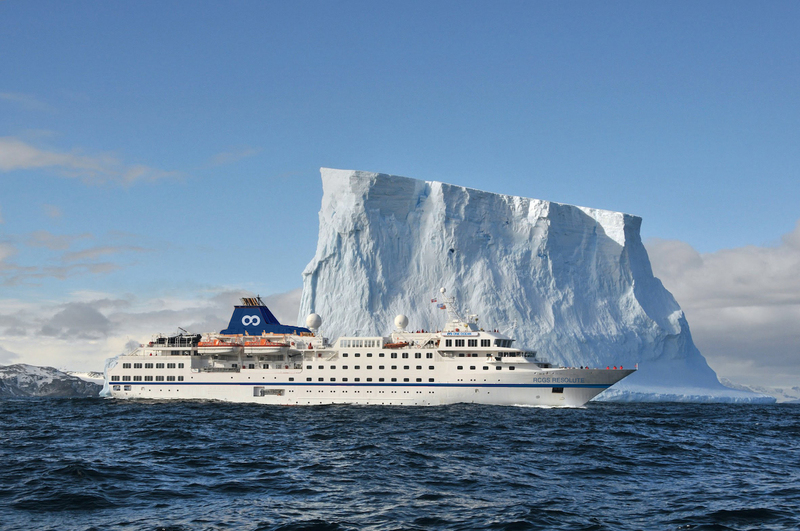 Several weeks ago we told you about Canadian polar operator One Ocean Expeditions, and their exciting plan to add a third expedition ship to their fleet, the RCGS Resolute. Just this week, schedules for the new ship landed on our desk, and there’s some exciting opportunities for travellers to experience the best of the white continent and surrounds. 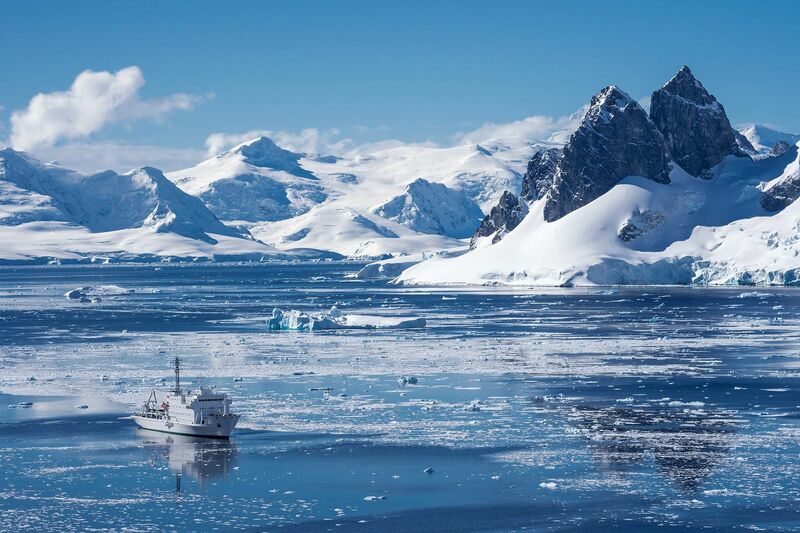 Resolute’s inaugural voyage for One Ocean Expeditions (she previously operated as the award-winning Hanseatic for Hapag Lloyd) commences on 6 November 2018, with a ten day Antarctica Peninsula Adventure. Over the following five months she will operate a total of 12 voyages to the Peninsula, some including exploration of South Georgia and the Falkland Islands. 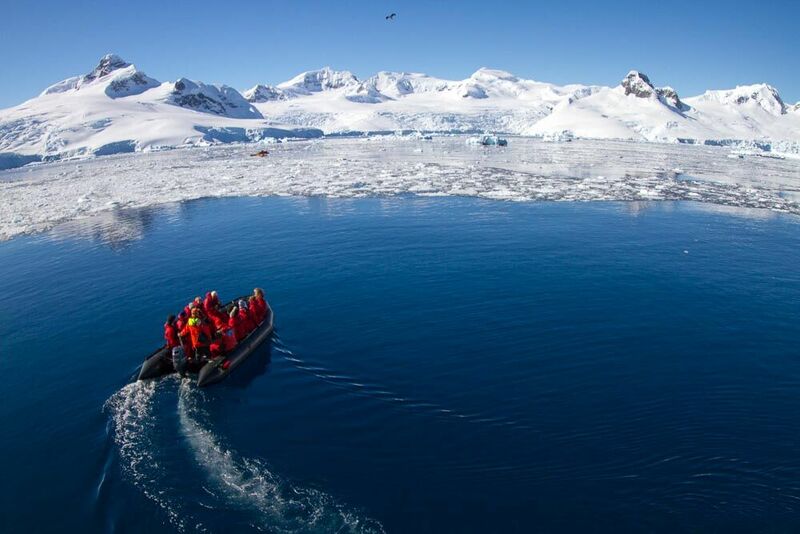 There’s also a special ‘Antarctica Off the Beaten Track” expedition, which – as the name suggests – takes in some of the lesser-known parts of the seventh continent, along with a Christmas in Antarctica voyage. Resolute’s 2018/19 southern season concludes with a unique 13 day voyage exploring Chile’s Fjords between Ushuaia and Valparaiso. Resolute is modern, well appointed, safe and ice-strengthened to 1A classification. Accommodating just 146 expeditioners, there are spaces ideally suited to every need throughout the ship. Spacious outer decks provide stunning 360 degree viewing platforms perfect for photography, wildlife watching, birding and appreciating expansive views. The salt water plunge pool, large relaxation deck, hot water jacuzzi are all located aft of the wellness centre (massage therapy, Finnish Sauna, steam room) and well equipped exercise room. Inside there are multiple areas to explore ranging from the well-appointed theatre style presentation room, aft observation lounge and bar, forward observation lounge and bar, and both dining rooms. Add in the One Ocean Expeditions multimedia room, and mobile laboratory and the opportunities are endless. RCGS Resolute joins Akademik Ioffe and Akademik Sergey Vavilov under the One Ocean Expeditions banner, to offer one of the most capable, safe, and exclusive expedition cruise fleets in the industry. When we think of places ideally suited to discovery by expedition ship, it’s our nearest-neighbour Papua New Guinea that often comes to mind first. PNG is a thrilling country to visit; spectacular scenery, beautiful coral reefs and unique wildlife, the largest area of intact rainforest outside the Amazon and ancient cultures (over 800 local languages!) untouched by modern man. It’s the sort of place you want to visit before word gets out and it becomes overrun by tourists! 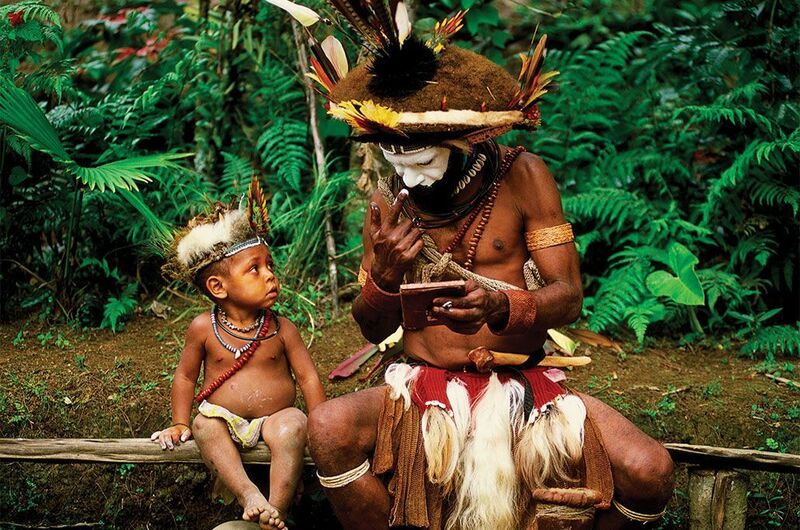 Yet, PNG can also be one of the most daunting places to experience for all but the most intrepid of adventurers. Travelling with a sense of adventure is a must, often accepting that the tourism infrastructure, comforts and amenities in some of the more remote parts can be below what we expect in these modern times. Some travellers might even feel a bit intimidated in certain areas, such as Port Moresby, where you do need to keep your wits about you when venturing out and about. If you’ve always wanted to experience PNG, but are concerned that it might be a bit ‘too hard’, then perhaps a small ship adventure cruise might just be what you’ve been looking for. After all, when you travel by small ship you can make use of luxurious onboard accommodations, enjoy fantastic dining experiences, savour incredible excursions with expert guides, all safe in the knowledge that you are going to be well looked after. 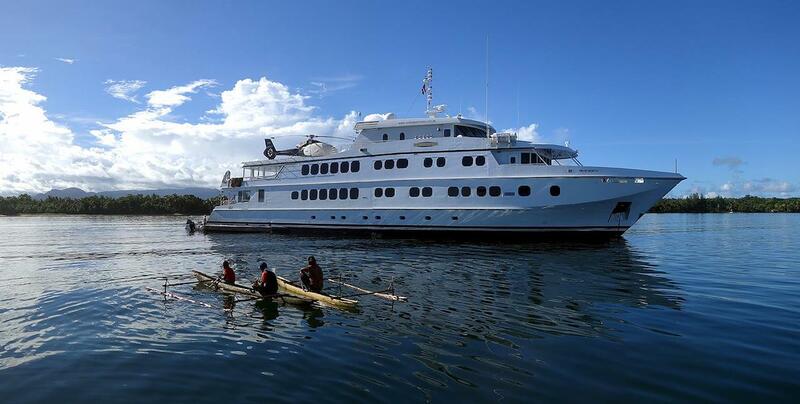 Over recent years we’ve seen incredible growth in adventure cruising to PNG. One of the first expedition ships to offer adventure cruises in PNG was Coral Discoverer in 2006, closely followed by True North. Both of these well-appointed small ships have developed outstanding itineraries, taking in the many highlights of the country, including the opportunity to cruise the mighty Sepik River. There’s a limited schedule of departures on offer for 2018, and with space for just a few hundred lucky adventurers each year now is the time to book to make sure you secure a place. We’re also really excited by a brand new voyage for 2018 aboard the classic catamaran Coral Expeditions I, which has just been announced. During February Coral Expeditions I will undertake four week-long scouting expeditions of the legendary Sepik River, travelling into the middle Sepik region, an area that has been rarely visited (and is mostly inaccessible) to foreign travellers until now. Here’s a look at what we have on offer in PNG in 2018. In 2018, the 72-passenger Coral Discoverer is offering a single 12-night expedition between Madang and Cairns, so you will need to be quick. This Australian-flagged (and crewed) small ship was one of the pioneers of adventure cruising in PNG, and following a major update recently she has retained her crown as one of the very best expedition ships operating in these waters. Signature experiences of the voyage include an overnight trip into the Sepik River, stopping at villages well off the tourist trail. There’s also plenty of time for snorkeling, SCUBA diving and kayaking over some of the South Pacific’s best coral reefs. 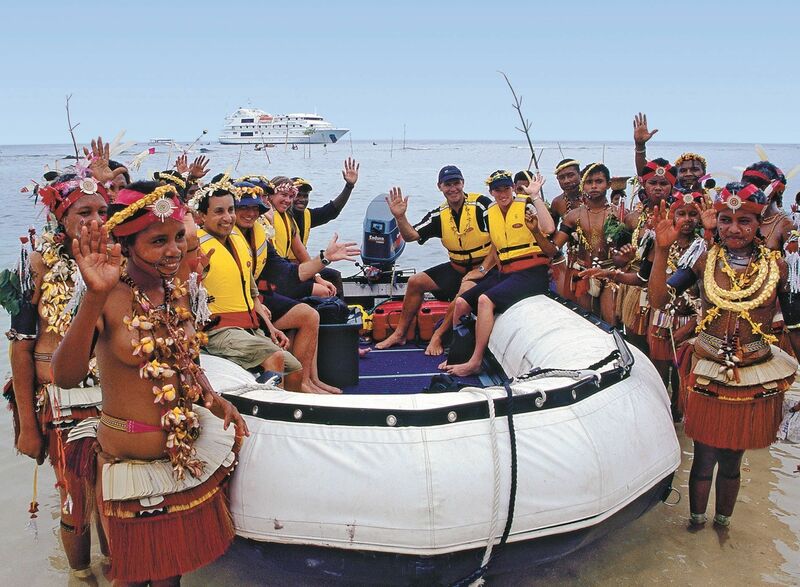 Focussing on Northern PNG, True North’s 10 night adventure cruise starts in Cairns, with a charter flight to Kavieng to board the ship. Then, over eleven days cruise through the islands of the Bismarck Archipelago en route to the Sepik River and then Madang. True North accommodates just 36 travellers at any one time, and comes fully equipped with her own private helicopter for the ultimate in exploration. Images in this article courtesy of our partners Coral Expeditions and True North. "Our cruise in the Seychelles which was magnificent. Everything you want from a good holiday, plenty to see, beautiful locations and beaches, fauna and flora. The boat Pegosos was wonderful, very comfortable and a fabulous crew." 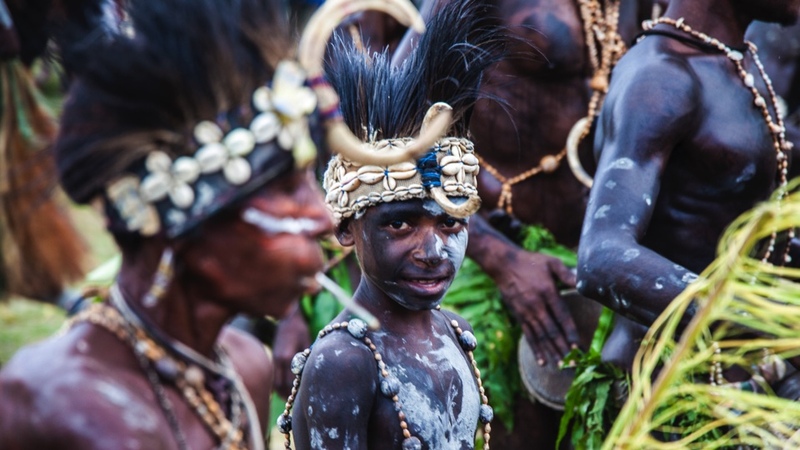 "One of our most memorable expedition cruising moments has been the welcome from the children of Papua New Guinea. Cruising to remote villages in the middle Sepik is a real highlight of this expedition."